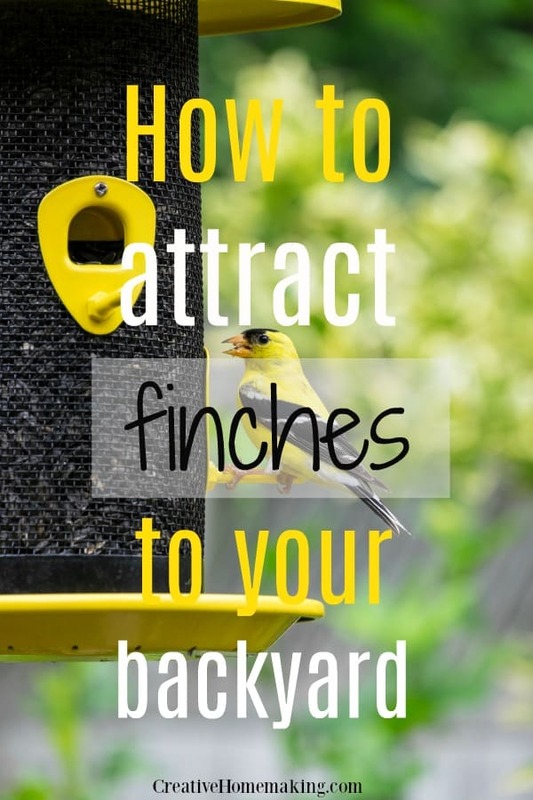 May 15, 2018 1 comment on "How to Attract Finches"
It is really very simple to attract finches to your yard. Finches are beautiful, playful little birds, and very enjoyable to watch. Attracting finches to my yard is a favorite hobby of mine. Hopefully it will become one of your favorite hobbies too! There are several different types of finches. The house finch and goldfinch are among the most common finches. I have seen both at my bird feeders. If there are finches in the area where you live, you will probably find you can attract a variety of finches to your yard. Several different types of finch feeders are available. You can find them at Walmart or most pet stores. The most popular are tube feeders and sock feeders. I have had great success with the tube feeders. 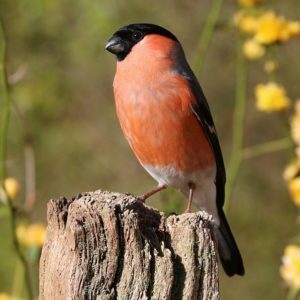 Finches don’t eat regular wild bird seed. A finch’s favorite food is thistle. You can easily order it online from Amazon. Next you need to find a good place to hang your feeder. I have hung them in the yard from garden hooks and also from the eaves of my home. I currently have one hanging right outside my living room window. Our family enjoys watching finches feeding outside the window all day long. You can also purchase a feeding station like this one, which is just a post with several hooks hanging from it. You can have them set up in just a couple of minutes and hang several finch feeders from them. Finches also love water, so some kind of bird bath will also help attract them. In the past we had a small garden fountain that finches loved. If you want to start attracting more birds to your yard, finches are a great choice. Finch feeders and finch food are readily available for you to bring home and start enjoying finch watching today. If you love watching finches, then you might be interested in watching hummingbirds too! Here are some of the best available feeders for hummingbirds, and tips for making your own hummingbird food. 1 Comment on "How to Attract Finches"
I love bird-watching too. I’d love to attract more goldfinches so I’m going to get a thistle feeder and see what happens! Thanks for the info.